All “Trip” rates are TOTAL cost for TWO people, NOT per person price. 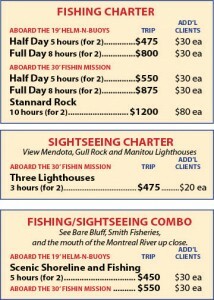 Maximum 6 clients per Charter on the Fishin Mission and 4 clients per charter on the Helm-n-Buoys. 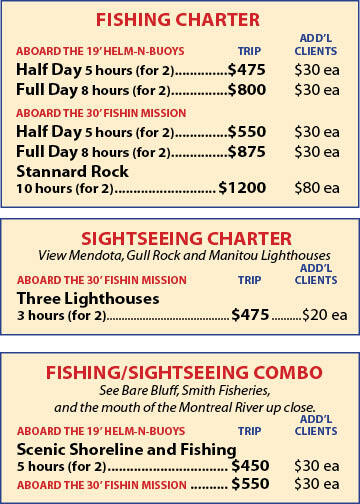 All times are approximate and include cruising to and from fishing waters. No “ADD’L Client” charge for kids 16 and under. 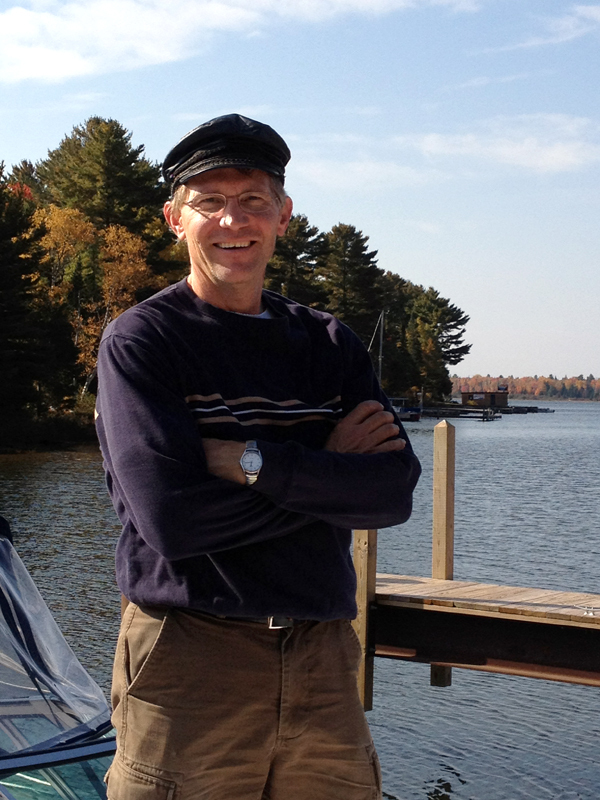 Trips are weather dependent and decided by the Captain. $200 minimum reservation deposit required all Charters. $400 deposit for full day or Stannard Rock charters. Michigan Fishing License NOT included in rates, you must buy your own license if applicable. We can also take you to Stannard Rock Lighthouse, Huron Island and Granite Rock Lighthouse. Contact us for prices for these or any other custom trips!